I found the site at <portal.grsu.by> which shows the symbols of the Grodno State University named Yanka Kupala. The flag is 1:2 light blue with the school emblem on the upper hoist. The emblem is shield-shaped (symmetric German style), with open book, sun rising behind it, and branch in front; "chief" reading ЛОШНИЦКАЯ РАЙОННАЯ ГИМНАЗИЯ in red Cyrillic sans-serif letters. 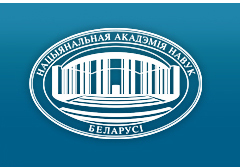 The National Academy of Sciences of Belarus (NASB) (Belarusian: Нацыянальная акадэмія навук Беларусі, Russian: Национальная академия наук Беларуси, НАН Беларуси, НАНБ ) (formerly Belarusian Academy of Sciences in 1928-1936; Academy of Sciences of the Byelorussian SSR in 1936-1991; Academy of Sciences of Belarus in 1991-1997) was founded on January 1, 1929 on the basis of The Institute of Belarusian Culture (Inbelkult, 1922—1928) which was reorganized to the Academy of Science through the Decree of Central Executive Committee and Soviet of People's Commissars of the Belarusian Soviet Socialist Republic on October 13, 1928. At the beginning of its activity the Academy had only 128 staff members, among them 87 scientists. By 1941 the Academy had 750 staff and 12 subdivisions. 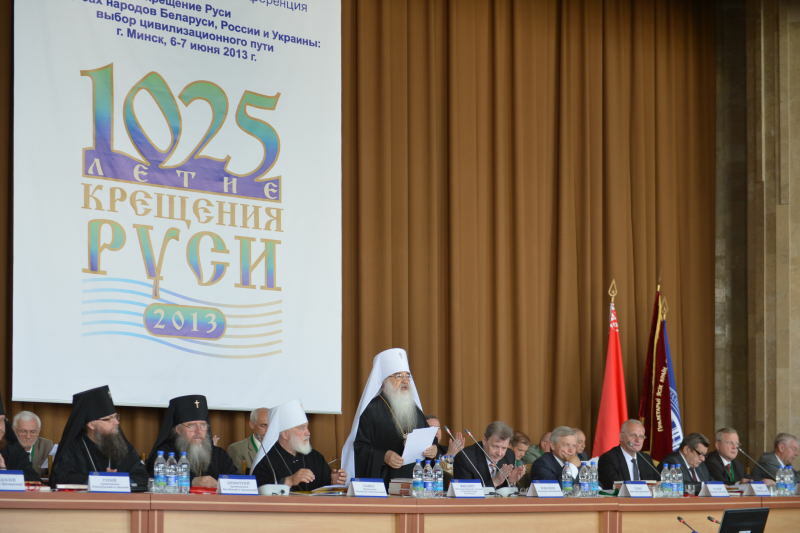 It is the highest state scientific organization of the Republic of Belarus. 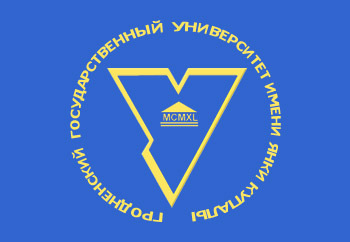 The Polotsk State University has an interesting flag at that can be found at <http://www.psu.by/index.php?option=com_content&task=view&id=3081&Itemid=83>. It is a "Canadian" triband flag of blue and white with the university emblem on it. I'll leave its discussion and analysis to our local experts. The Latin motto "Docendo discimus" translates to "In teaching we learn".